Schedule your free All-On-4 implant consultation today! When patients are in pressing need of a full arch replacement for either their lower or the upper mouth, there exists no other faster and more comprehensive solution for them other than the All-on-4 dental implants. This implant system which is a revolutionary technique for replacing the full set of the top or bottom teeth using only four implants per arch. 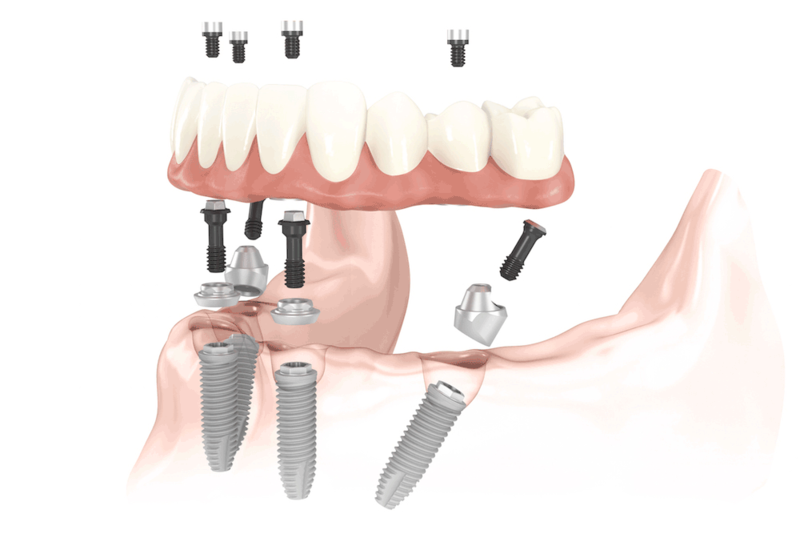 In the past, full arch replacement required as many as ten dental implants; this revolutionary All-on-4 treatment uses as little as four implants. This was made possible due to the discovery that when rear implants are placed at an angle of 45-degrees, they can be longer, stronger and able to bind with bone not usable with previously existing dental implant techniques. In most cases, the All-on-4 implant treatment can avoid the necessity of bone grafting, which can be both expensive and time-consuming. This saves you months and years if you opt for other available procedures. Waiting around for bone grafts and implants to heal can take a very long time, and that would prevent you from enjoying the gift of biting down and the wonderful smile of your dreams. A free no obligation consultation at Mesa Dental is necessary to understand your needs and for us to plan your full case. After your consultation with Dr. Qadeer, if you do become a candidate for the All-On-4 dental implant system, the next step would be to walk you thru your personalized treatment plan which will be explained in great detail so you are able to understand all of the necessary care needed. 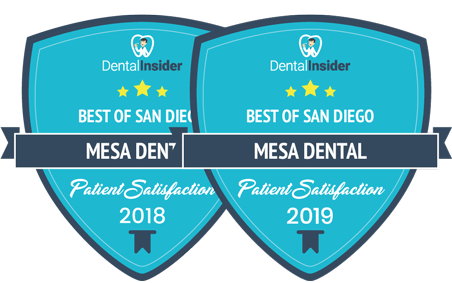 Making use of 3-D x-ray technology, high definition cameras, and impressions, the team at Mesa Dental will fully establish every aspect of your surgery before it occurs, allowing the day of the actual surgery to be as streamlined as possible. After the surgery, we allow our patients for the first six months to try out their provisional smile before we make make their permanent teeth, that will last decades. Patients having received the All-On-4 dental implant procedure commonly don’t feel self-conscious about their smile anymore, look and feel more professional, attractive and ready to return to the life they had before they lost teeth. 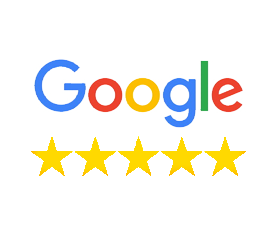 Most patients have reported their experiences at Mesa Dental as smooth, comfortable and effective. 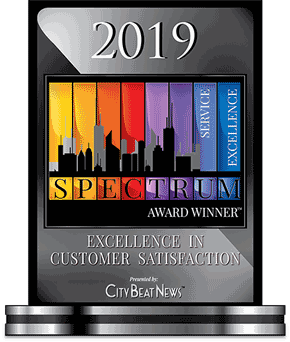 This is only because our staff is united and our primary objective is to ensure you get the most beautiful and healthy smile possible after your treatment. If one received cancer treatments that required a portion of the jaw to get removed, there are specialized versions of the All-On-4 treatment concept that utilizes the cheekbone for the placement of dental implants if an insufficient amount of jawbone remains. This procedure is well researched and gives proven results. If you or a loved had been searching for an elegant, customized solution for your particular situation call today for a private consultation. Schedule Your Free Implant Consultation Today!